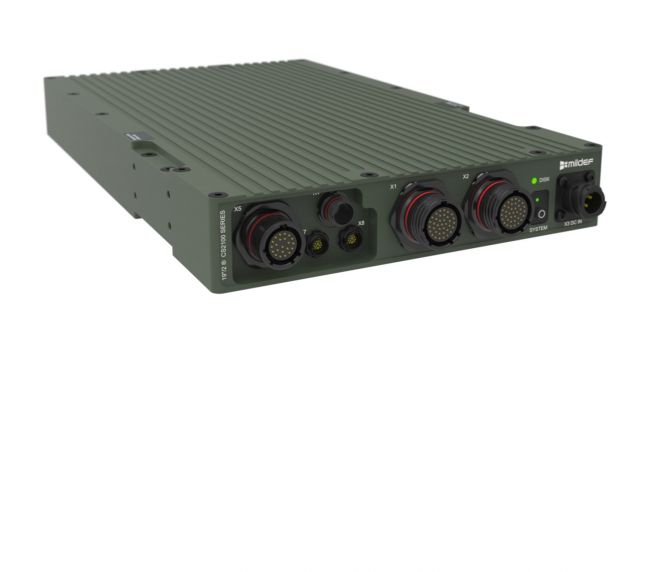 19”/2® CS2100 Series Rugged military computer - MilDef, global supplier of rugged military electronics. High performance Xeon computer in a 1U 19″/2 format. Supports removable M2 SDD, 32GB RAM and a wide range of interfaces.